RGB LEDs are the next big leap forward in light bulb technology. They outperform incandescent bulbs, halogen bulbs and energy-saving bulbs across the board. They use significantly less energy, last much longer and come in every color imaginable. RGBW LEDs are useful for setting colorful light accents to enhance your living spaces and, thanks to the additional diode, can as well illuminate rooms evenly with pure white light. Make the most of this modern lighting technology for your projects now. Once revolutionary, LED technology is now well established and easy-to-use. The industrial sector has long taken advantage of the efficiencies of LED technology and now the domestic use can too. RGB LED lights have tremendous scope and versatility in designing lighting design in the home. For example, you can use the colors of economical RGB LED lights to program colors to match your moods and for specific situations. And thanks to smartphone technology, the systems are a breeze to control. Alternate bright light or dimmed light – RGB LED strips are so versatile that they can be tailored to create whatever lighting ambience you wish. In addition to bulbs with RGB capabilities, RGBW lights can provide a particularly warm white light. They are not merely a substitute for conventional lighting technology, they are an across-the-board improvement in terms of functionality and service life. What are RGB LEDs, and what can they do? LED technology uses strip-mounted diodes which are able to emit a lot of light at a low energy consumption. An RGB LED bulb uses three diodes in Red, Green and Blue. These are mixed in different intensities to produce a variety of different colours. The process is based on additive color mixing, the same technique which is used in TV sets, computer monitors and flat screens. Light from one color source may overlay that of another, resulting in a new and brighter expression of color. Red over blue light provides a light violet, for example. What are the advantages of LEDs compared to other light sources? Diode technology in LED lights has the advantages of a low turn-on voltage and low energy needs for continuous operation. Compared to conventional lighting, they have more economical power consumption with identical light output. RGB diodes boast a service life in the tens of thousands of hours and are also impressively robust in terms of switch cycles. Because the voltage during switch-on is very low, a large number of LED lights may be operated via a normal line and household fuse. This allows you to install a large number of lights, even in households with few lines, without having to install new ones. What are the uses for RGB LEDs in everyday life and at home? The scope for using RGB and RGBW LED lights is almost unlimited. The technology requires very little space and is often housed in bulbs the same size as conventional incandescent, halogen and fluorescent valve models. Assuming the right retrofit socket, they will also fit into many light sockets: from recessed spotlights to ambient lights, path lighting in the garden or desk lamps. Use RGB LEDs for effective lighting in kitchens, studies, porches/entrances, pathways and driveways. They are also ideal for atmospheric lighting throughout the home. 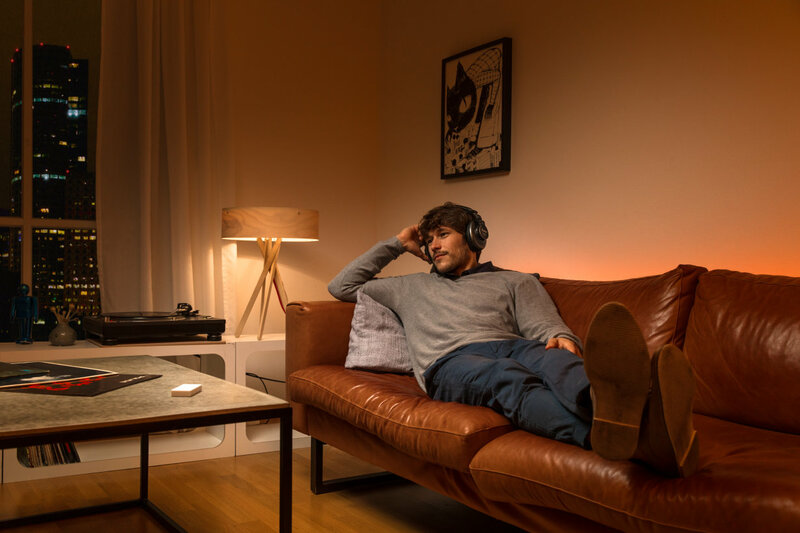 The simple choice of color allows you to adjust the lighting to suit your mood, whether you are relaxing and enjoying music, need a stimulating light for an evening with guests, or a calming light for winding down from work. RGBW LEDs also can provide a harmonious, uniform lighting for reading corners, studies or hobby rooms, or anywhere else you need to minimize eye strain or fatigue.